Arenga is a genus of attractive pinnate palms from Southeast Asia. Arenga micrantha is a recent introduction into cultivation. 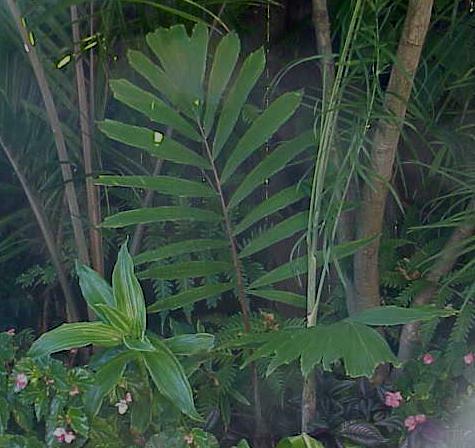 It grows to more than 20 feet tall and carries elegant, large, flat, evenly pinnate leaves with brilliant white undersides. Found in Bhutan growing 6500-7000 ft above sea level! This is an area of foothills in the Eastern Himalayas known to encounter snow and heavy frost. This is the most cold-hardy Arenga. Arenga micrantha was described as recently as 1988 from Tibet. Arenga Micrantha has now also been found to occur in Bhutan and N.E. India. It is extraordinary how this comparatively large palm could have remained undetected in an area that has been well and truly botanized for a hundred years, yet this is what has happened. Following the initial discovery of a small group of plants in N.E. India, it was found to be growing in several other locations, in some numbers, and is used by the locals for thatching and for the manufacture of brooms. 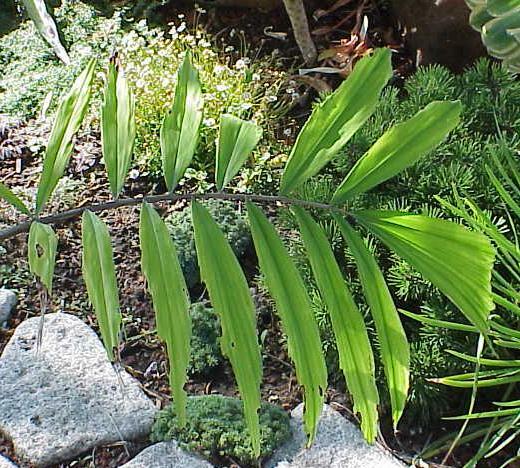 A cool-growing palm, it is used to moist and mild conditions during the summer and cold dry conditions in winter. Rich soil and an occasional feed complete the picture of its requirements. The growing habit is suckering which is an advantage for plants that might be damaged from extreme cold; since new plants will regenerate from a lower growing point. A most exciting addition to our climate! A good germination rate of 90% has been reported with very fast growing seedlings. This can possibly tolerate temperatures as low as 20 degrees F and may even tolerate as low as 16 degrees F.